Article written by Vanda de Oliveira , published in MenosFios with the permission of the author. Notice: EThis publication is more of an outburst, because I work in the ICT area (including event organization) and with startups six years ago, so is my beach. And it is strictly my opinion based on my experience, and from the moment I witnessed the announcement of the ANGOTIC 2018. Since my student days I have participated in countless international conferences / forums. And particularly since 2012, which I am involved in the world of startups and technology, not only participated but I was also involved in organizing some events. So I dare to say that I know what makes an event a success and how it organizes a good event in general, and ICT (Information and Communication Technologies) in particular. First of all, I learned about ANGOTIC from an invitation letter received at 1 from May 2018 for the press conference of the launch of ANGOTIC 2018 on 3 May 2018. After the press conference, I was enthusiastic about the event mainly due to the opening to the participation of technological startups, as announced. In the meantime, I contacted the organization to show my availability through Bantu Makers, being an organization also with a role of catalyst for technological entrepreneurship and innovation, to help energize the startup space during the event. I sent a proposal and I also participated in two initial meetings with the organization regarding the Startup Space. Unfortunately, poor communication, then feeling that there was not enough will of the other party to accept the realization of our proposal (I remember we were less than two months of the event and some celerity would have been important) among other situations that do not deserve here forum , I did not insist on carrying out our initiative under ANGOTIC 2018 (but it will happen later this year), because I was unmotivated and the time was running out. Still, I considered it important to participate, because after all there would be a Startup Tent. In the week that passed - 19 to 21 in June - the ANGOTIC ICT Forum 2018, organized by the Ministry of Telecommunications and Information Technology (MTTI), in which I participated with the Bantu Makers and our startups Salo e Deya. I begin my comments for the positive balance on ANGOTIC 2018. It was undoubtedly a good opportunity of exposure (without cost of entry to the startups) to a larger audience, only sinned the media did not deepen some innovative startups present. It was a good networking opportunity to learn about what is being done here in terms of technology and innovation. It was also very positive to visit the Startup Tent of the President and Vice President, the latter even stopped at our stand and heard our pitch. Just as we had the opportunity to network with some PCAs and CEOs of large companies among other executives and potential investors. In fact, the registration for startups (the term here is used freely, we are already going) was free (sponsored by MTTI), but contrary to what I have heard, I argue that it was not a besides being an organization of a state institution, that is, public, of all Angolans, it is more of public interest to know that there are startups in Angola (or have they participated only in Luanda?) that they are creating and make your way regardless of the (im) conditions possible. So we startups did a favor by dispensing time, energy and money (because we had transportation, food, and merchandising for the 3 days of the event) to attend the event, when we have a business to develop and grow - note that we have been 3 days in a tent to exhibit, to repeat the pitch of our business over and over again to the hundreds of people who by and that's a grueling job and not all of those people are our target market - so it was not a favor they made us, it was an opportunity that benefited both parties: the organization for having something different and innovative to show to the and the startups by exposure to the general public and the media in general. Na Startup Tent, "With the aim of understanding the dynamics and organizational level of Angolan technological startupsat" or how I heard some event participants call it fun "Startup Square"- I clarify, not in the pejorative sense but because the space differed from the rest of the space of the event by the heat, movement between the startups and I also believe flow of people - were around 30" startups "and I put the term in quotation marks, because of my knowledge and experience of 6 years working with technological and non-technological startups and knowing full well what differentiates a startup from a conventional company, I can not consider the 30 present startups in the truest sense of the word. But I will not elaborate on the concept of startup here, this article which I wrote - I did not invent the definition of startup, I merely added the various definitions by the one who researched and knew a lot more than I did on the subject - and challenged the reader to search for more startup definitions and to share be responding to this publication). Therefore, respecting the startup concept, I argued that there were no more than 15 startups at different stages (idea / non-functional prototype phase, ie not yet available in the market, initial phase, growth phase). Communication and Application Process: It is true that there was not enough time to prepare for ANGOTIC 2018, I think even for all the exhibitors. Soon enough, the communication time was not enough (I was astonished to learn that some big digital companies did not know about the event in a timely manner). Registration took place online, with no need to move and fill out paperwork. But then we did not receive any information or communication, not even a confirmation, because the only email received was the submission of the application. However, through the support contacts made available, we did not get answers. The information only began to arrive on Friday, 15 day at the end of the day via email. Because I also spoke with other companies to participate, I know that this lack of timely communication was a general failure on the part of the organization. Logistics: soon on the first day when arriving at the Startup Tent there was no energy (during 2 hours !!!) and it took "superior" intervention so that the problem, which was simple, could be solved. It is annoying that even in an event of this that to solve a simple problem it is necessary to have superior contacts, when the exhibitors should have a treatment of equal respect. Food Logistics: I dare to say that there were people who went hungry at least the first day, again was the failure to communicate with the exhibitors and participants. This was because the first was not well communicated about the restrictions on access to coffee breaks / lunches and the options of buying meals were scarce and unknown to many participants. Here's the tip for an upcoming event to partner with startups like Tupuca e LNL so that nobody is left without options. Access and Security: I realize that during many decades the country lived (and maybe still lives) in a climate of fear, with a warlike mentality, and I even realize the necessary security apparatus for the arrival of the President (on the first day) and Vice President day). Parking was a horrible experience, especially on the last day. During the first two days where we had the participation of those two maximum representatives of the state, it was possible for the exhibitors and participants to access the park of the hotel where the event is located, but only on the last day they decided to change the rules and without prior notice it was no longer possible to park in the park. It seemed to me that there was a lot of "boss" in the same thing. There was no efficient communication in such a simple thing. Access to plenaries- again the failure of the communication led participants to believe that access to the sessions in the program (perhaps one of the main reasons to attend an event of these) was part of the experience in participating in ANGOTIC 2018, but it was not so. 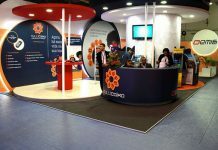 Access was restricted to certain participants, exhibitors could not attend. However, the lack of audience led the organization to reconsider (after all, it would be wrong to show on empty TV chairs). I confess that I felt a certain irritating and unreal elitism in this matter (and also in the food), since it is not one of the objectives of this Forum to be a platform for learning and networking? And in general, the various accomplishments and failures on the part of the organization did not leave a good impression. I leave the suggestion for the next one to be less snobbish and more inclusive. The official catalog was delivered to us on the last day (21) of the Forum along with the feedback form - perhaps because some of the questions on the form referred to the catalog. 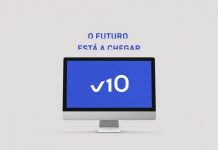 I know of some good technological startups (initial stage and growth stage) and non-technological ones that did not participate in ANGOTIC 2018, and according to apurei was due to lack of effective information / communication by the organization and for not feeling that the event would add value. Here's the tip to improve on the marketing campaign. In conclusion, ANGOTIC 2018 in terms of experience as an exhibitor and participant was perhaps the worst event of its kind in which I participated, but in theory it had everything to be better organized, interesting, innovative and inclusive not only for startups, but also for all exhibitors and participants. In short, much more profitable. And I believe it was not for lack of feedback, because as soon as I became aware of the event I contacted the organization for proposals to help energize the startup space and I also participated in two initial meetings where I also left my comments. I can think of so many ways (from workshops, panels, startup pitches, meet-ups, etc.) to make ANGOTIC much better, more profitable, interesting and international, for exhibitors, guests and participants, in order to attract more public only from the inside as well as from the outside, but stay for another time. I believe we can do better, we have people who can do better. If they allow anyone who knows better to be included, not by wedge, but by merit, then no doubt that ANGOTIC can really become an event in the world of reference technologies in Africa. 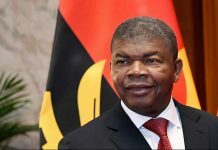 I would also like to suggest that we need more ICT events in Angola and launch the challenge for private initiatives / organizations to organize them. 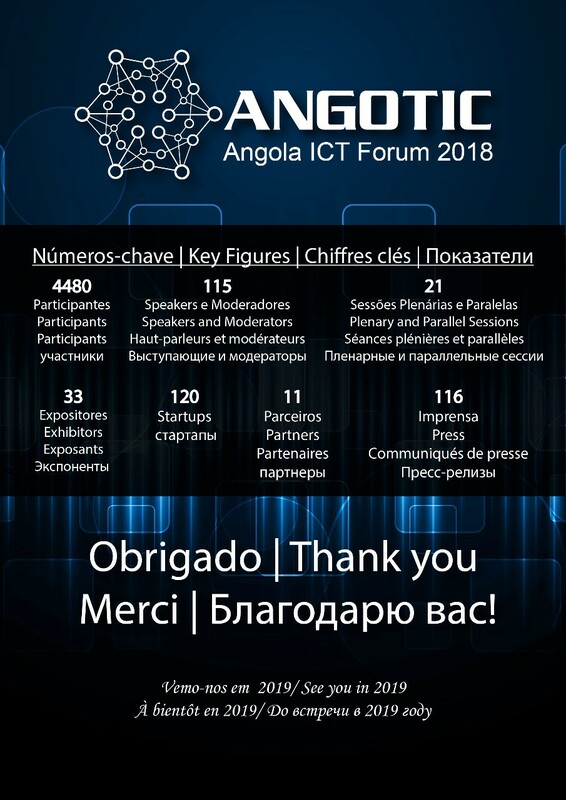 Have you participated in the ANGOTIC ICT FORUM 2018? What was your experience? Leave me your comments.